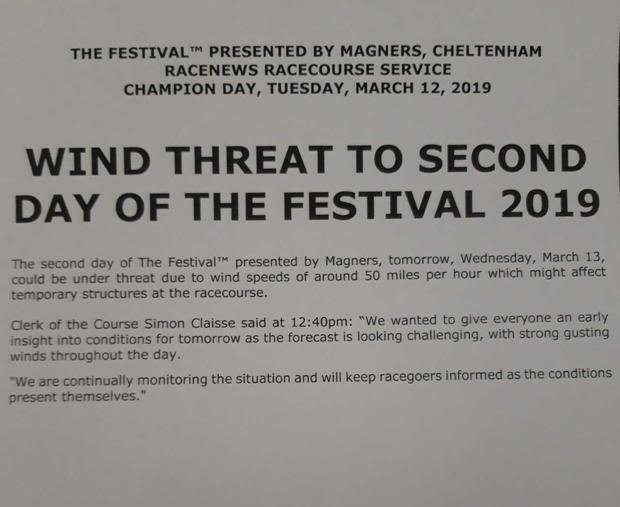 Within an hour of the opening race of the 2019 Cheltenham Festival officials at the racecourse have confirmed that day two of the meeting could be under threat due to high winds. 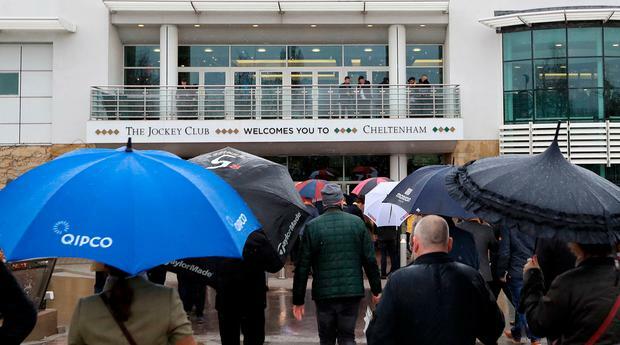 Rain at Cheltenham this morning has changed the official going description to soft, however it is an unfavourable forecast of high winds tomorrow around Prestbury Park that have led to concern over Champion Chase day going ahead as planned. Clerk of the Course Simon Claisse said shortly before lunchtime on Tuesday: "We wanted to give everyone an early insight into conditions for tomorrow as the forecast is looking challenging, with strong gusting winds throughout the day. "We are continually monitoring the situation and will keep racegoers informed as the conditions present themselves." Course boss Ian Renton has since said that there will be no decision about Wednesday's racing at the Cheltenham Festival until tomorrow morning. A contingency plan has been revealed however, with the Champion Chase card moving to Saturday if it is postponed tomorrow. High winds played havoc with the Cheltenham Festival in 2008 when it was also the Wednesday card that fell victim. However, on that occasion, the Wednesday card was divided to be run on Thursday and Friday whereas this year it is understood that the entire card will be moved to extend the meeting into the weekend.